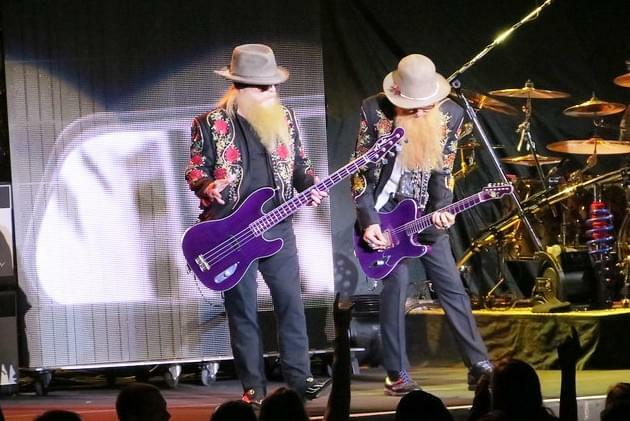 ZZ Top is the latest classic rock band to hit the half century mark! They’ve been in the Rock and Roll Hall of Fame for 15 years now, and this summer, the band turns 50 and will go out on an North American tour to celebrate that feat! See ZZ Top play in our neck of the wood at Tinley Park on September 7. The night before, Sept. 6, they’ll play in Maryland Heights in suburban St. Louis. (Hollywood Casino Amphitheatre in both cases.) Tickets for both shows go on sale Friday, April 12. Get more info at zztop.com. Tres hombres from Texas still feature the guys responsible for that killer, ZZ Top sound since 1969: Billy Gibbons, Frank Beard (the drummer w/o the beard) and Dusty Hill. Fellow Rock and Roll Hall of Famers, Cheap Trick, will open for ZZ Top for their Midwest shows.